Mel Morales, known to all students as Mr. Mo, has been working at Common Ground High school since 2009. He is an Instructional Specialist and Teacher Assistant for all Mathematics courses in the school. Mr. Mo is responsible for the pedagogy instructions of School Wide Support student support while in class, and the after school program Math Lab. Mel loves teaching math and learning from the students as well. 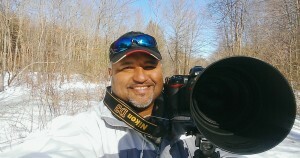 He is also a professional Nature & Sports photographer, and works as a freelance photographer and contributor for many different Nature & Sports magazines across the country. Mel is a disabled veteran, and proud member of Common Ground staff.